You got to give the designer credit, they went full boar on this design and didn’t skimp on the country theme and I love it. I love this turkey infographic from its chicken wire imagery, to its wood plank background and the creative use speed limit signs to show the turkeys top speed while running or flying (and they can kick it at up to 25mph on the ground and fly up to 55mph).This is everything great infographic should be, creative use of graphic, fun information and a visual appeal that meshes with the content. Well done, this infographic is no turkey. And yes, there will be more bad turkey puns. How do I Shoot a Turkey? The wild turkey infographic gives you a large gamut of information, starting with where to shoot a wild turkey and gives you different angles to work with. Is the turkey facing you, walking away, broad sides, etc. And if you actually shoot a wild turkey you would know the record weight for a wild turkey was 38 lbs, which is about half the weight we consume per person the United States at 17.5 lbs. or this wonderful fowl. You’ll get a very brief history lesson about the turkey and their incredible growth in numbers. 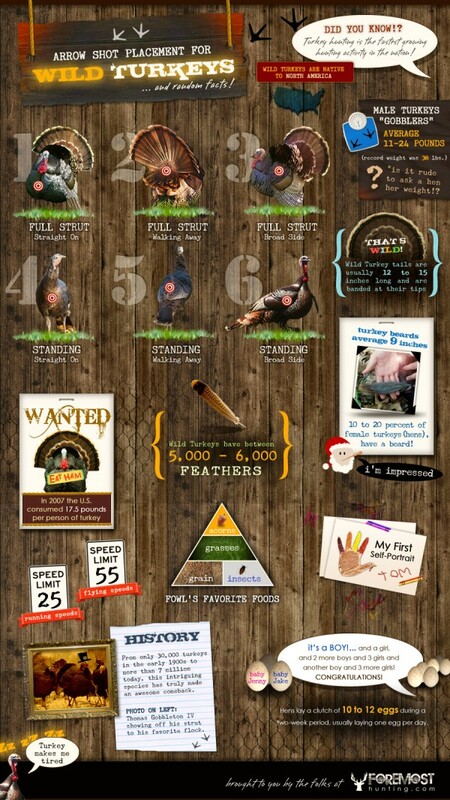 About 7 million turkeys exist, although the infographic doesn’t read whether that is wild or bred or both. And another fun turkey fact: they are native to North America. Gobble, gobble, I guess the Native Americans were turkey eaters. 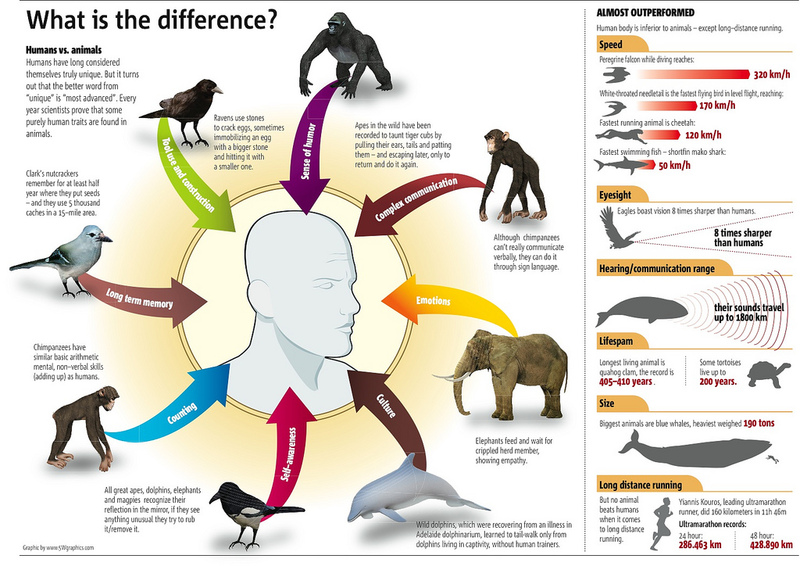 This infographic isn’t fowl and I found looking at it be a delicious feast for the eyes for which I give thanks. 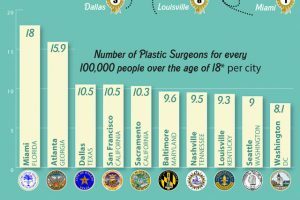 I like the over-the-top look of this infographic. Turkeys were the focus and they made this a fun way to do it. Not enough information, a it seemed like to much stuffing (filler) and not enough turkey. This Wild Turkeys infographic with turkey hunting tips was submitted Foremost Hunting- Find A Hunting Guide Or Outfitter.